Interra International is actively involved in the wholesale vegetable oils market. We supply both refined and crude vegetable oils including palm, soya, sunflower and corn. We provide bulk oils (full or cargo size) as well as flexitanks. Food service and retail sizes of refined oils are also available. We offer private label and branded label oils. As a premiere food distributor, we also offer specialty vegetable oils and fats to satisfy your specific food industry needs. Palm oil is an edible vegetable oil made from palm fruit. Palm fruit is the source of both palm oil (extracted from the fruit) and palm kernel oil (extracted from the seeds). Palm oil is a high-quality oil used in cooking, cleaning, and even cosmetic products. Refined Palm Oil: Refined palm oil is obtained from refining crude palm oil. It is a light-yellow liquid and semi-solid at room temperature, melting to a clear yellow liquid when heated. Refined palm oil provides texture and taste for a variety of products from margarine and confectionery products to chocolate and ice creams. Palm Stearin (Vegetable Fat): Palm stearin is a white solid at room temperature which melts to a yellow clear liquid when heated. This solid fraction of palm oil is produced through crystallization and primarily found in shortenings and ghee. An edible vegetable oil made by pressing and processing sunflower seeds. 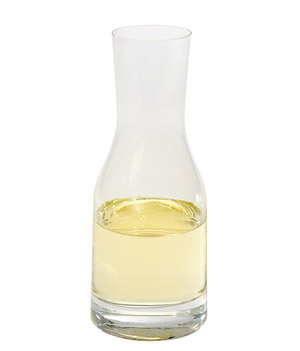 The refined sunflower oil is clear, light amber in color and remains liquid at room temperature. It is used as cooking (frying) oil and in personal care products. High-Linoleic Sunflower Oil: High linoleic sunflower oil typically has at least 69% linoleic (polyunsaturated) acid. High-Oleic Sunflower Oil: High oleic sunflower oil has at least 80% oleic (monounsaturated) acid. High oleic oils are considered the healthiest as they have the least amount of polyunsaturated fats. RBDW Sunflower Oil (RBD refined, bleached, deodorized and winterized): RBDW sunflower oil is obtained from separating refined sunflower oil and exposing it to further processing. It is clear, light amber in color and remains liquid at room temperature. This is a very stable edible oil with a long shelf life. An edible vegetable oil made by crushing (mechanical extraction) and further chemical processing (solvent extraction) of soya beans to extract the oil. The oil is then refined and sometimes hydrogenated. Soybean oil is one of the most widely consumed cooking oils. Hydrogenated Soybean Oil: Hydrogenation is the process of heating the oil and passing hydrogen bubbles through it, which makes it denser, making it suitable for deep frying and food manufacturing like margarine and other butter substitutes. Crude Soybean Oil: Unrefined soybean oil is darker amber in color, semi-solid at room temperature and melts to an amber liquid when heated. A rendered form of animal fat processed from suet (raw animal fat), tallow is used to make soap, used in cooking, animal feed, and was once used for making candles. Tallow is solid at room temperature and can be stored for long periods of time with no refrigeration if in sealed containers. Extra Fancy Tallow: Extra Fancy Tallow is prime grade tallow that has been refined and bleached using organic clay. It is used in the manufacture of soaps and oleochemicals, as well as for animal feed. Top White Tallow: Top white tallow is prime grade tallow that has been refined, bleached and just slightly lower grade than the extra fancy tallow. It is used in the manufacture of soaps and oleochemicals, as well as for animal feed. Yellow Grease: Yellow grease is a lower grade of tallow that is produced in the rendering process. It is used mainly for animal feed. Corn oil (maize oil) is an edible vegetable oil that is extracted from the center germ of corn kernels. Corn oil is generally less expensive than other types of vegetable oils. It is often found as a key ingredient in margarines. Refined Corn Oil: Refined corn oil is obtained from refining crude corn oil. It is an amber liquid, remains liquid at room temperature, melting to a light amber liquid when heated. Its high smoke point makes it a valuable frying oil. Interra International is a global food distributor of wholesale cooking oils. We provide our customers with selection in bulk packaging, variations in grade of product, and private label and branding option. Our unique supply chain and carefully selected sources help you get the best wholesale oils for your business. To learn more or to get in touch with our edible oil commodity specialists, please call us or use our contact us form and we’ll be happy to assist you.